Welcome to Inclusion Now 49. Audio and text versions are in the articles below. To receive three issues of Inclusion Now a year on publication date, you can subscribe here. Subscribing supports our work and helps us plan for the future. “We’re trying to create ripples of change, socially. 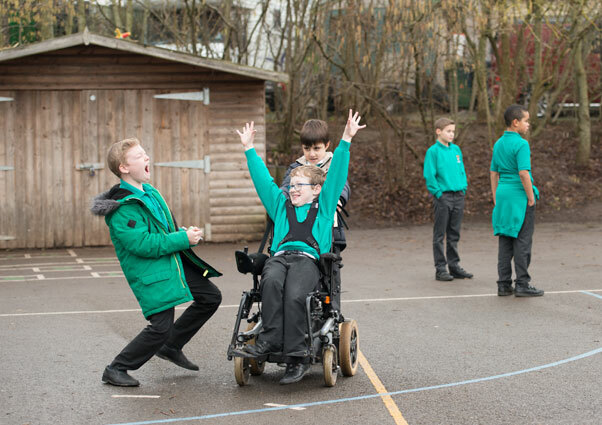 It’s the same experience for everyone, as much as possible.” Belinda Shaw and Navin Kikabhai visited Emersons Green Primary School near Bristol and found a bustling school with inclusion at its heart. Mike Lambert talks to Marsha de Cordova MP, about her schooling as a visually impaired young person, her views on inclusive education & ambitions as Shadow Minister for Disabled People. Rachel O’Brian tells us about the Disabled Students’ Campaign’s work on cuts to Disabled Students Allowance, Fit to Study procedures, Universal Credit and more. Are good intentions good enough? ALLFIE reports back on Christine Lenehan’s review of residential special schools and colleges. Our oral history project on Disabled people’s experience of education over the last century, including schools resource packs and more. Join the Alliance and help us build a better, more inclusive world.